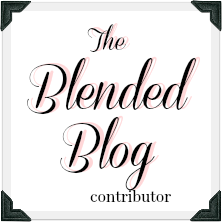 I had good intentions to link up with my friends at The Blended Blog on Monday and share some things that I will never, ever do. But then our flight home from LA got delayed, and I read somewhere that connecting to Wifi at an airport is a sure way to get hacked, so I gave up and took a nap instead. Skydive. Oh wait, I already did. But I'm never doing it again. Although it was an amazing experience, and I proved to myself I could indeed be brave, it was also terrifying. I have no need to repeat that one. Eat seafood. I hate everything about it - the smell, the texture, how it looks. It's a shame, living in Seattle. And trust me, I've tried many times, but nope. Stop being kind. At least I hope I won't. My grandma, who was one of the kindest women ever, was pretty nasty after she hit 90. Anyway, we need all the kindness we can get in this world. Ride a scooter again. I tried it once, and it didn't end well. Almost gave my husband a heart attack, and probably the poor guy who was "this close" to hitting me with his truck, although I think George was exaggerating a bit. I've blocked it out. Apparently I have steering issues. Have a snake as a pet. I would forever be worried that it was going to escape and end up in my bed or something. Refuse an adventure. I'm up to try almost anything - except maybe skydiving and scooter riding. If you want to go experience something new, give me a call because I'm your girl. 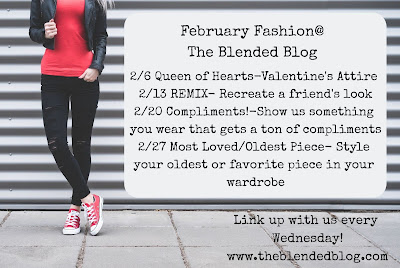 Today at TBB we're sharing Never Will I Ever: Trends or Looks I won't do. While there are things I probably shouldn't wear, and I'm generally a pretty basic dresser, when it comes to fashion, never say never. Wear what you want, try the trends, do the things. Style is very personal, and no one should tell you how to dress yourself. The end. 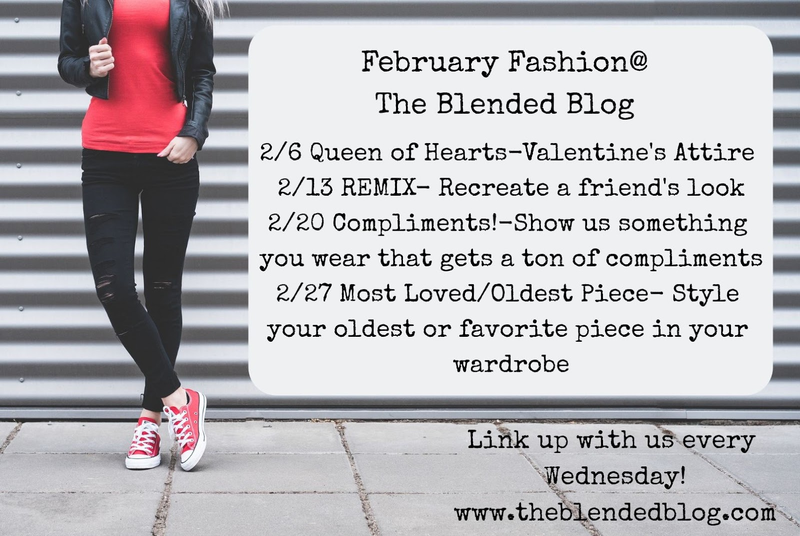 Be sure to go link up your fashion posts with our lovely hostess Shaunacey, and come back next week for a new month of prompts. 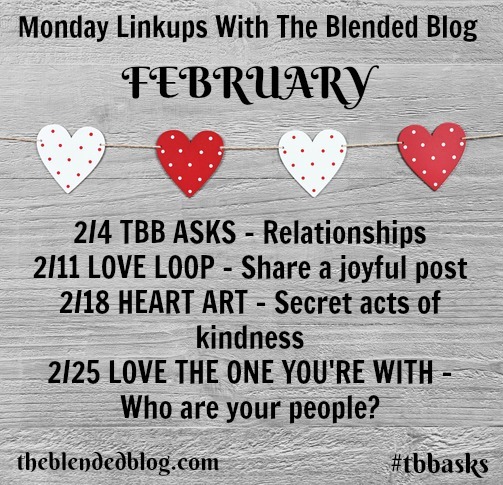 Monday is a brand new TBB Asks and we'd love for you to join us as we share relationships. Hugs and happy Wednesday to you too! You are brave to go skydiving. And, yes, kindness is needed. You are a kind and genuine person. Thank you so much Lisa. So are you! You have the best attitude about adventure, Lana!! I'm not sure I would skydive, but then again never say never...ha ha!! You are braver than me! I would never skydive but agree with you on the snake and being kind! Not sure I'm brave - I mostly just kept closing my eyes! No snake as a pet for me either - yuck!!! 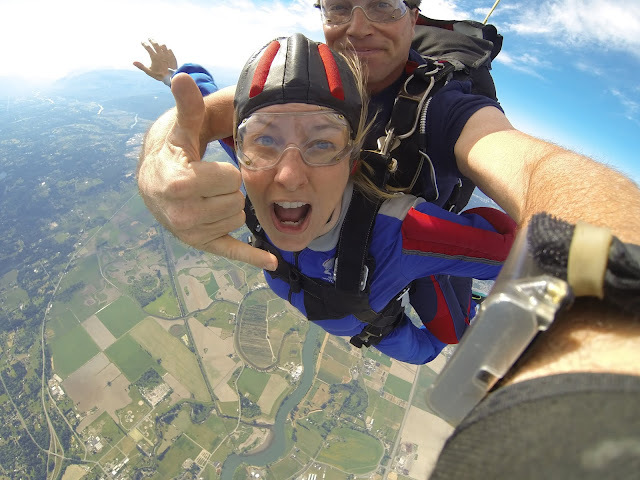 Look at you skydiving - wow!!! 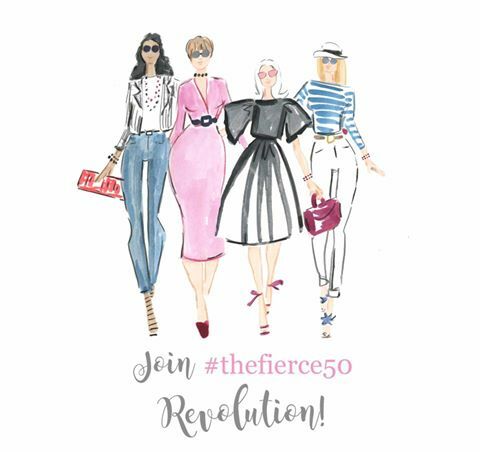 One of my friends wants to do that for her 50th birthday. In New Zealand! I might consider going again if it was in New Zealand! Loved your list, Lana! Skydiving? WOW! That is certainly something I would never do! It was fun when it was over! Love this pic! Oh how I want to go skydiving! Maybe for my 50th this year. But seafood...seafood is definitely something I don't think I can live without lady. Your list is a hoot, and I love your resolve to be kind. I may turn it into a prayer: I watched my mum sink into grouchy as she aged, and it was so hard for everyone.